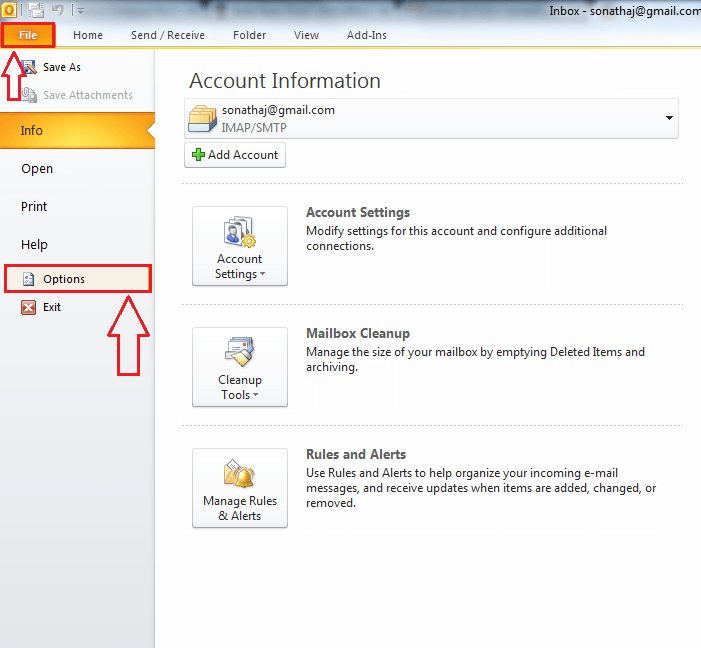 How To Turn On Auto Archive Feature In Microsoft Windows Outlook: – Be it emails, be it contacts, be it notes; if old items keep piling up, it would never be something pleasant to deal with. 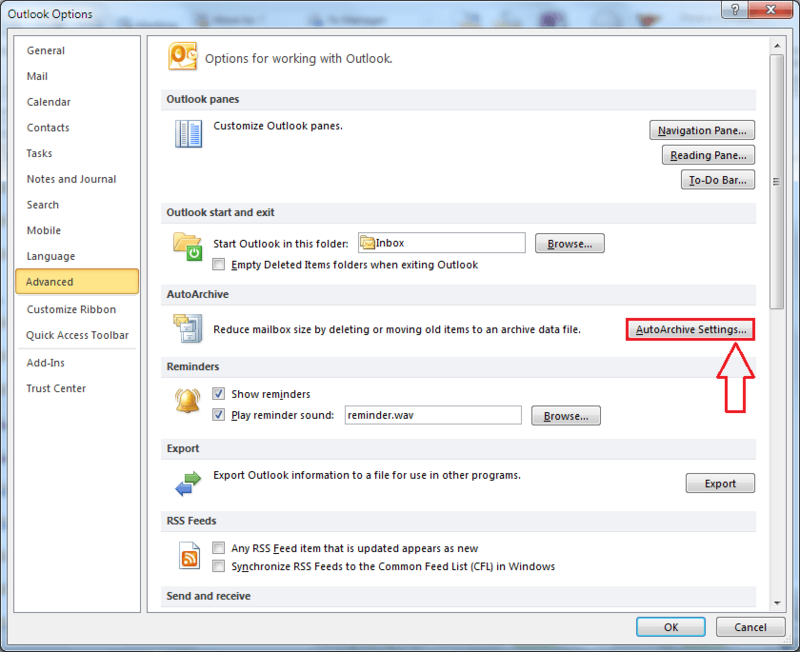 You can always choose to archive an item from the file menu in your Microsoft Outlook. But clicking on the archive button for every single mail or note in your outlook list would be something of a task to accomplish. 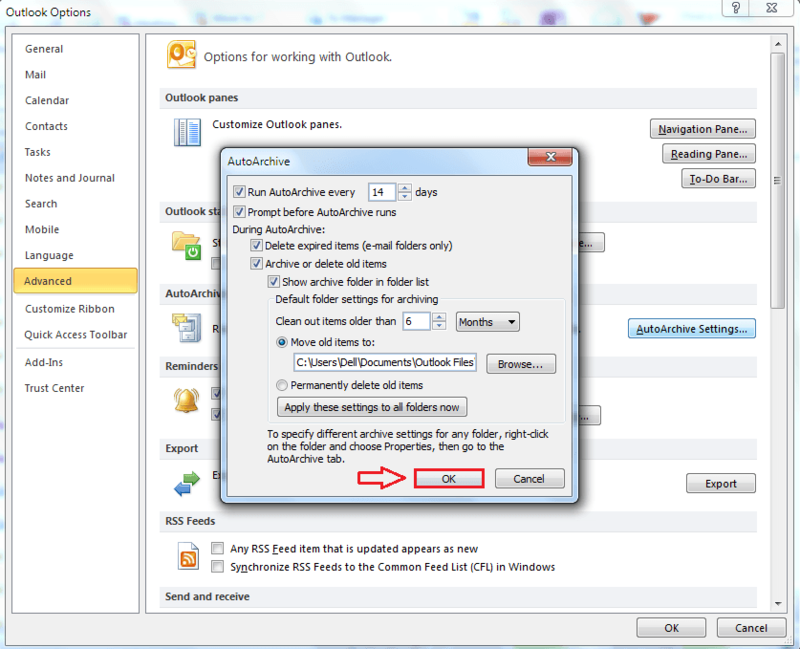 There is an auto-archive feature available in Microsoft Outlook that can come in handy. The auto-archived items will be saved in the following path in your system. These items will be saved in .pst format. Archiving old items can reduce your mailbox size as well. 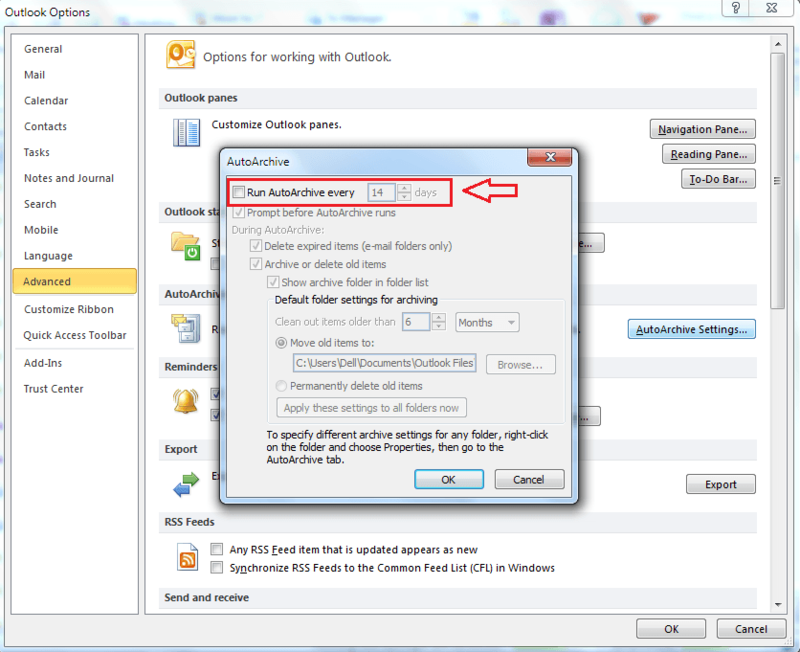 Read on, to learn how to make the maximum out of Microsoft Outlook, by enabling this simple but powerful feature. Launch Microsoft Outlook by double clicking on it’s icon or by searching for it using the Cortana search box. 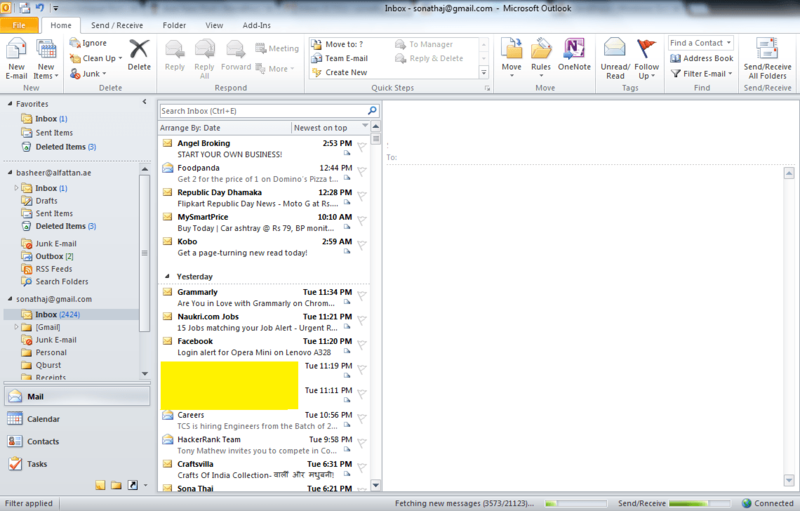 Once you are done, Microsoft Outlook will launch as shown in the screenshot below. Click on the File option from the menu list. Now from the left window pane, find and click on Options as shown. A new window for Outlook Options opens up. Click on the option that says Advanced. Now in the right window pane, look for a section named AutoArchive. There will be a button corresponding to the AutoArchive section that’s labelled as AutoArchive Settings. Clicking on the AutoArchives Settings button opens a new window where you can set your AutoArchive preferences. But for that, you have to check the check-box corresponding to Run AutoArchive every … days. Once the check-box corresponding to Run AutoArchive every … days is checked, a lot of options will be made available to you to meet your requirements. If you want a prompt dialog to be shown to you before running an AutoArchive, you can check the check-box corresponding to Prompt before AutoAchive runs. There are a number of other options like Deletion of expired items, Archive or delete expired items etc. You can also set the path to a different location to store your old items. 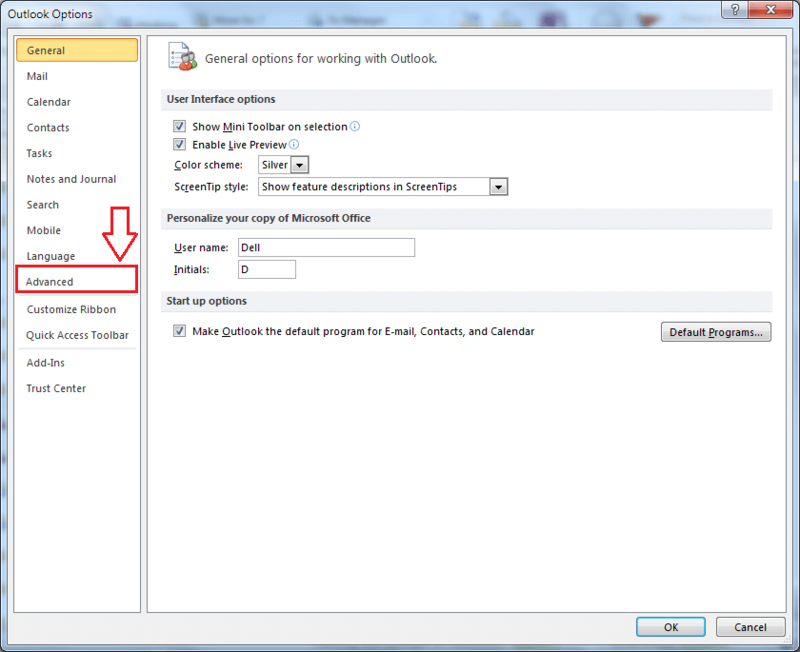 Once you are done with setting the preferences, click on OK button at the bottom of the window. That’s it. Now you can easily clear up your Microsoft Outlook with no effort at all other than the initial investment of a bit of a time. Try out this trick today itself. Hope you found the article useful.